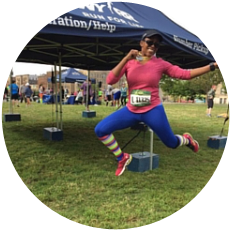 Join #SweatPink for the #LJInspired Instagram Challenge! Happy Monday! I hope everyone had an awesome weekend. My weekend was great, but entirely too short. LuckilyI only have a 4-day work week since I leave for Chicago on Friday!! Welcome to another week of #1MillionMinutes. I’m really loving this #SweatPink campaign because it’s fun to log your daily exercise and I love the different daily prompts and challenges. This week we’re being asked to get inspired. 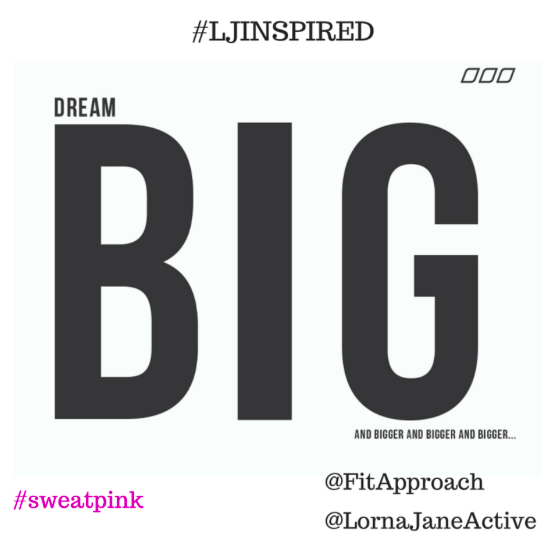 @LornaJaneActive @FitApproach and hashtag: #LJInspired #SweatPink #1MillionMinutes! I believe that the key to a happy life is compassion. Compassion inspires me to be the caring person that I am today. I am lucky to have my family and friends in my life because they inspire me to live life to my fullest and to chase my dreams. My dream is to one day run a marathon and even if it takes FOREVER I know I’ll get there because I’m not afraid to dream big! While I dream big, I hope to inspire others by being my best self everyday. Want another chance to join in the fun? Join FitApproach on 7/21 from 5:30-6:30 pm PT for a fun #LJInspired #SweatPink Twitter party for another chance to win prizes & a copy of Inspired:https://www.facebook.com/events/852624931491346/. I can’t wait to see all your social media posts this week!